Summer is fast approaching and we all at some point wish to escape to a place with never-ending sandy beaches, crystal blue sea and amazing weather. 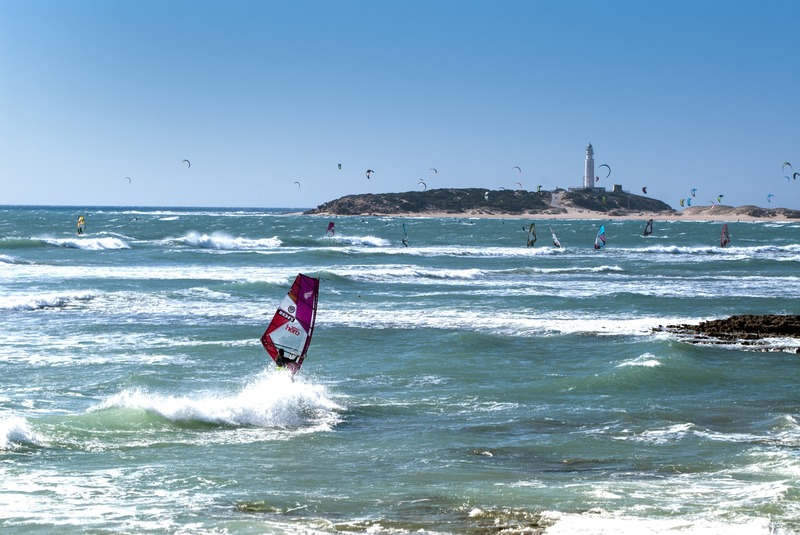 Well here’s a little secret place in the province of Cadiz which the locals call Cadizfornia, as its the locals equivalent to California with great surf and beautiful scenery. In this province lies many spectacular beaches which I have had the pleasure of visiting last summer on my road trip adventures. One in particular, I feel I need to tell you about. Imagine you are surrounded by incredible views of infinite ocean, the sun is shining down on you and you see people with surfboards, amazing camper vans of every colour and size. Surf shacks, surf bars and cafes with lots of outdoor seating, almost everyone is bare foot, skate boarders, hippies, surfers and people travelling through. The cool breeze the you feel calms you and you feel the great vibes the place brings. An unspoiled, rustic little town which has only one little corner shop. The laid-back atmosphere and golden beaches make you feel like you could stay here forever. El Palmar is located 5 kilometers north of Vejer de la Frontera and only a short drive from Conil. There you can find everything you need for a great surf, good waves and a place to hire all the equipment if needed. Every traveller knows that the perfect friendly beaches need more than just a picturesque view and El Palmar is great for everyone. 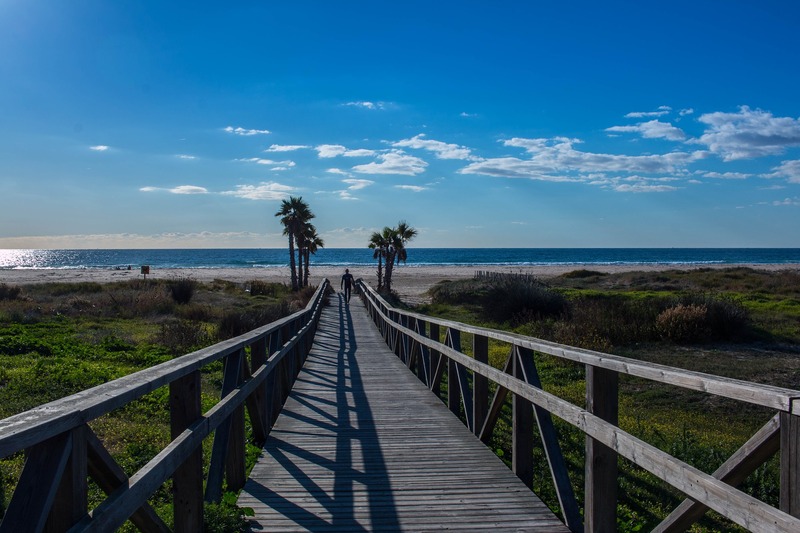 The sand is silky smooth, the water is crystal clear and shallow close to the beach, El Palmar is very dog and child friendly too and great for all levels of surfers and paddle boarders. 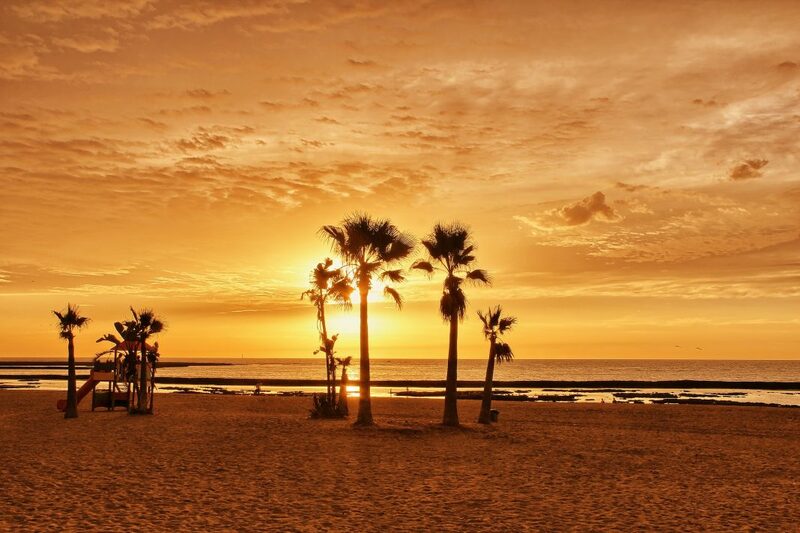 There is an infinite number of beaches around Europe however if you ever have the opportunity to visit Cadiz, go to El Palmar beach. A place with a great vibe, spectacular views and awesome waves. Cadizfornia the next best thing to California.